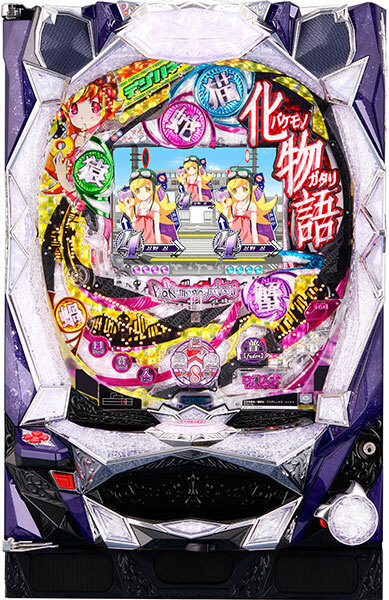 A pachinko machine we will be introducing today, is the latest pachinko machine of a popular content “Momo Kyun Sword”!! 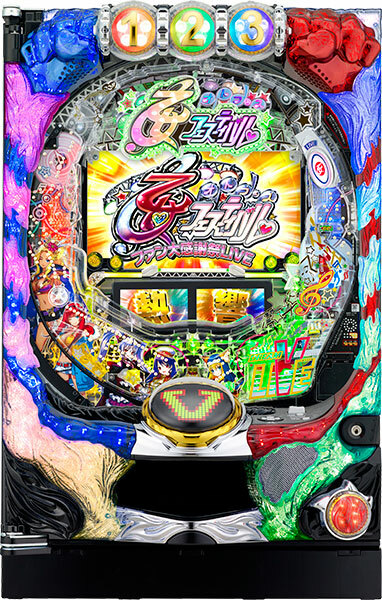 It remains some of the popular renditions from the previous machine, but it came back with tons of new rendition that it is more powerful than ever. 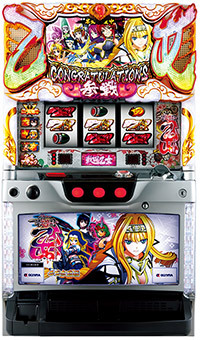 Player gets to choose the jackpot rendition from two options, and various renditions give excitement to the player. Its customization system has improved as well, that more you play, the more item for customization you can get. Player also gets to choose the BGM and renditions they want to see. It is expected to make its debut on 30th of May!! 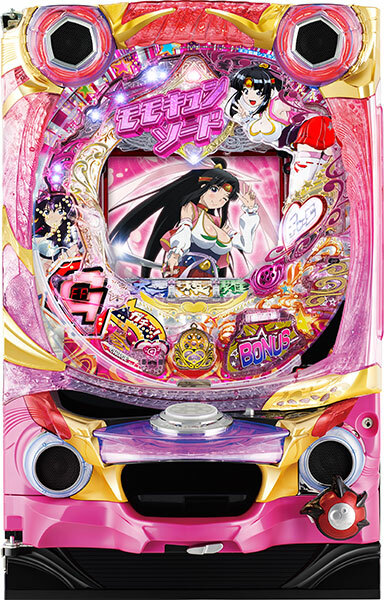 Today we will introduce “Momo Kyun Sword,” a pachinko based on the quintessential Japanese folktale Momotarō, which is currently airing as an anime. Momoko, the peaceful protagonist, suddenly has her home, The Peach Blossom Spring, invaded by Jyakiō and his army!! She sets off on an adventure with her comrades Inugami, Sarugami, and Kijigami to recover the treasure that was stolen from her home. 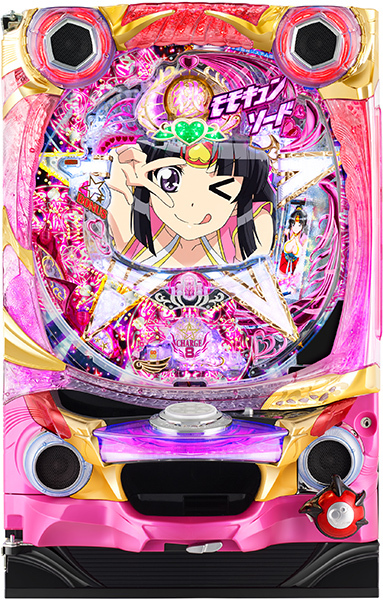 Her rival Onihime, who is just as powerful as her, will also be featured!! 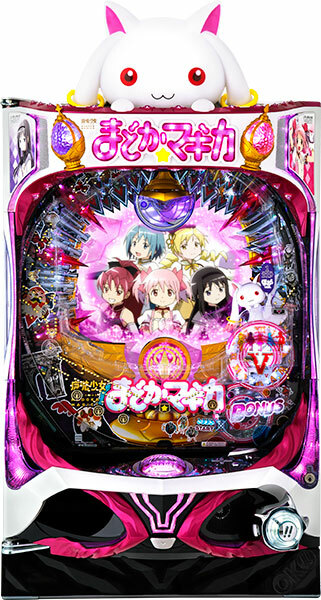 This machine also adds a “moe” effect by turning Momotarō into a woman. 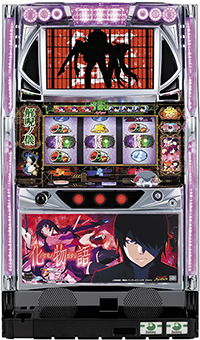 The adventure-fantasy pachinko Momo Kyun Sword will be released this September! !